Manchester United striker Javier Hernandez celebrates scoring the opening goal at Wigan. Chicharito made the most of a rare Premier League start, scoring twice in a sharp performance. United won 4-0. 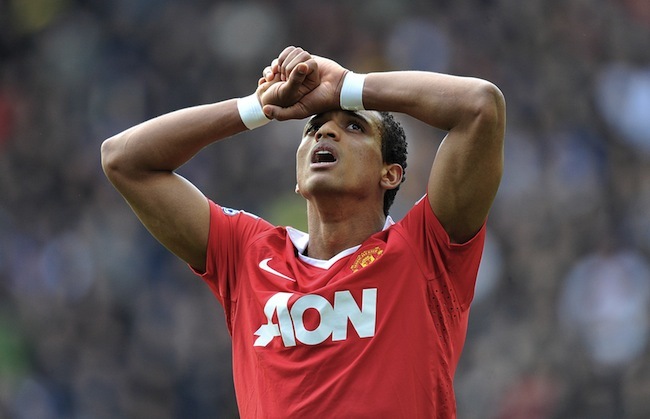 Man Utd winger Nani rues a missed chance. Bolton Wanderers’ Daniel Sturridge scores the equalising goal against Newcastle United, despite heat from Fab Coloccini. The game ended 1-1. 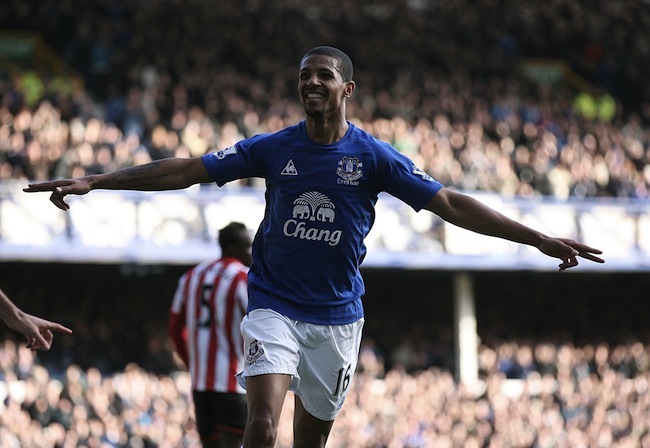 Everton striker Jermaine Beckford celebrates scoring his second goal of the game against Sunderland. Everton won 2-0. 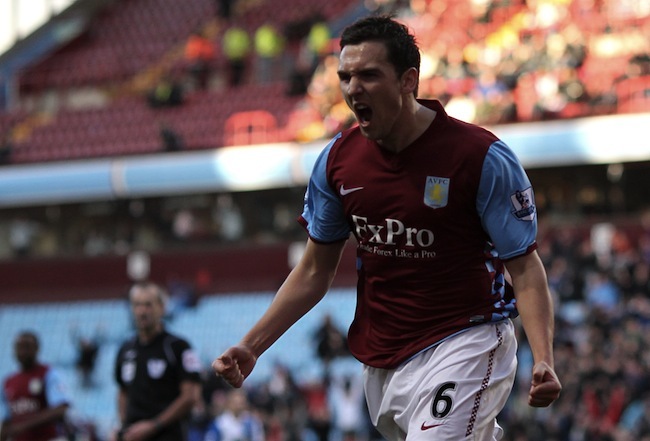 Aston Villa midfielder Stewart Downing celebrates scoring his team’s third goal against Blackburn at Villa Park. Villa won 4-1. Sunderland fans at Goodison. 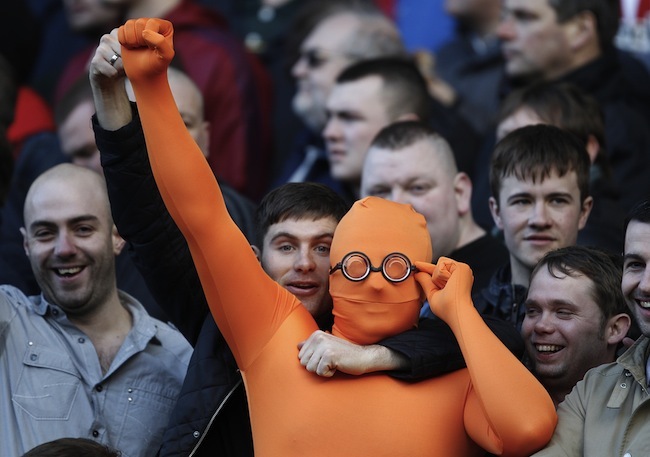 What’s with Tango man? West Ham United’s Scott Parker celebrates scoring the opening goal of the game with team-mate Thomas Hitzlsperger. West Ham beat Liverpool 3-1 at Upton Park. 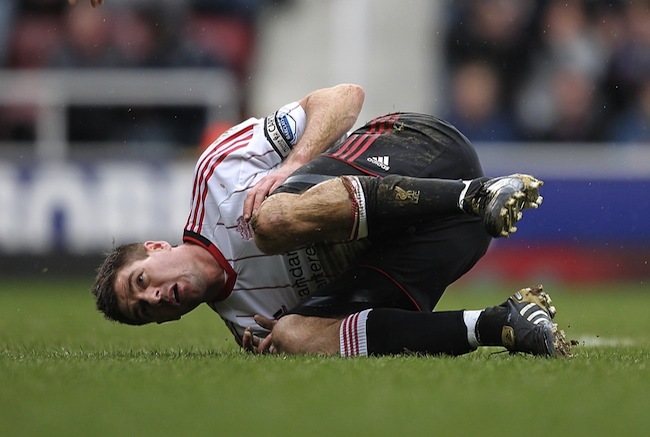 Liverpool skipper Steven Gerrard sees his shot fly just wide of Rob Green’s goal. Fulham winger Damien Duff scores his team’s equaliser at Eastlands, after a brilliant first-time cross by Andrew Johnson. 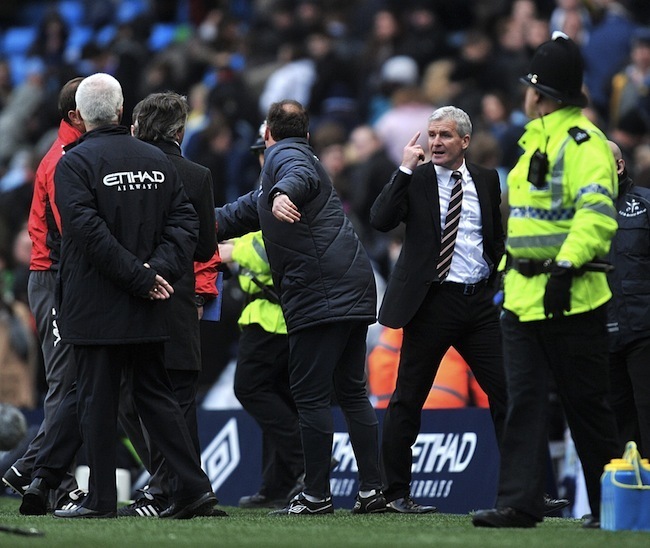 Manchester City manager Roberto Mancini (third left) and Fulham manager Mark Hughes (second right) have a disagreement after the final whistle at Eastlands. Hughes deemed Mancini’s post-match handshake lacked sincerity, but to be fair Hughes hardly offered a sincere shake himself. No love lost.